‘Money’ on top of the money train again! 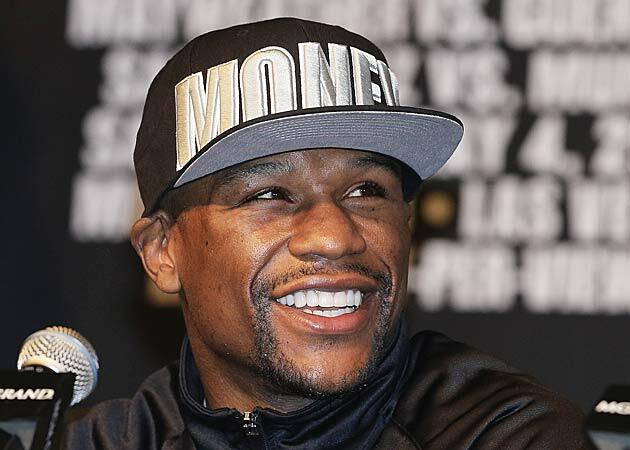 NEW YORK — Floyd May­weather Jr. is the highest-earning athlete in American sports for the second straight year. The boxer is projected to make $90 million in 2013, according to Sports Illustrated’s annual list released Wednesday. Miami Heat star LeBron James is a distant second at $56.5 million. New Orleans Saints quarterback Drew Brees vaults into the rankings at No. 3 at $47.8 million thanks to a new contract signed before last season. Kobe Bryant of the Los Angeles Lakers is fourth at just under $47 million. Tiger Woods is fifth with $40.8 million, his lowest spot since SI started the list in 2004. He was No. 1 through 2011. Chicago Bulls guard Derrick Rose checked in at No. 7, although he hasn’t played a game since tearing his left ACL on April 28, 2012. The top 50 include 25 baseball players, 13 basketball players and eight football players, with no female athletes for the fifth consecutive year. The estimates combine salary, winnings and endorsements.